NEW YORK, Jan. 31, 2019 /PRNewswire/ -- Russell Reynolds Associates, a leading global search and leadership advisory firm, today announced that Simone Menne, former CFO of Boehringer Ingelheim and Lufthansa, has joined the firm's Board of Directors. Menne most recently served as the CFO of Boehringer Ingelheim, one of the world's largest pharmaceutical companies. 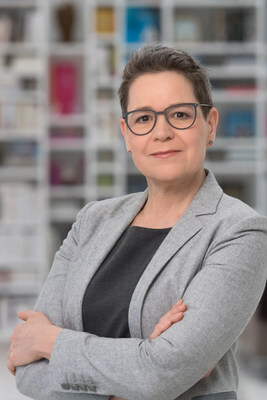 Prior to Boehringer Ingelheim, Menne was with Lufthansa for 27 years, where, as CFO, she was the first woman to serve on the aviation giant's Executive Board. "We are pleased to welcome Simone to our Board of Directors," said Clarke Murphy, Chief Executive Officer of Russell Reynolds Associates. "Simone's experience as a highly recognized corporate leader and board member for a number of global organizations is a valuable addition to our board."